SIDNEY, NE (WAVE) - A great deal of what I know about severe weather forecasting comes from chasing storms over the past ten years with Storm Chasing Adventure Tours. Most weeks in May through mid-June there's severe weather in the Great Plains, including tornadoes. But what happens when you're chasing storms during a week with little tornado possibility? Is it worth it? Do chasers go home? 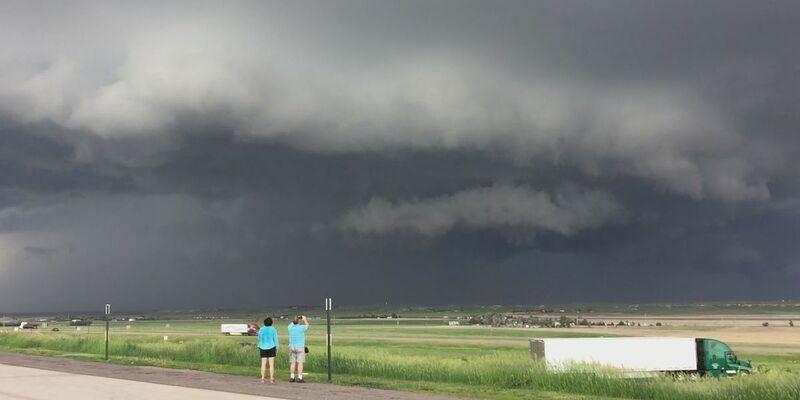 Perhaps Boston, Massachusetts-based storm chasing tour guest Caitlin Van Patten explained it best: "I think we would hope to see a tornado, but just being able to see thunderstorms and ... seeing the different areas is really what we really were hoping to do." While the ultimate goal of our storm chase is to find a tornado, some days just a storm with good structure is all that's needed for a good chase. The storms we saw during our 2,217-mile trek in early June were impressive, even with the lack of storm ingredients we battled with. These included severe storms in the Black Hills of South Dakota, Northeast Colorado, and all the way down in the Texas Panhandle. I was even able to stream the storms on social media via live video. These sights were certainly crowd pleasers. "The favorite part of the chase is the anticipation of seeing the storms start to form and then starting to follow it and see it blow up before your eyes," Jeff Karpf, a tour guest from New York, said. + UNCLAIMED FUNDS: Does the state of Kentucky owe you money? Safety is a big issue for storm chasers. Those thousands of miles put chasers at risk of vehicle crashes and other road hazards. The key is to put safety above storms. "(I) never felt unsafe once," Corin Hughes, a tour guest from the United Kingdom, said. "I thought that everybody got it in control and I felt very comfortable." Whether people chase to get some great photographs, for the thrill of the chase, or to see a slice of rural America, a safe chase is always a good one, even if they don't see a tornado.